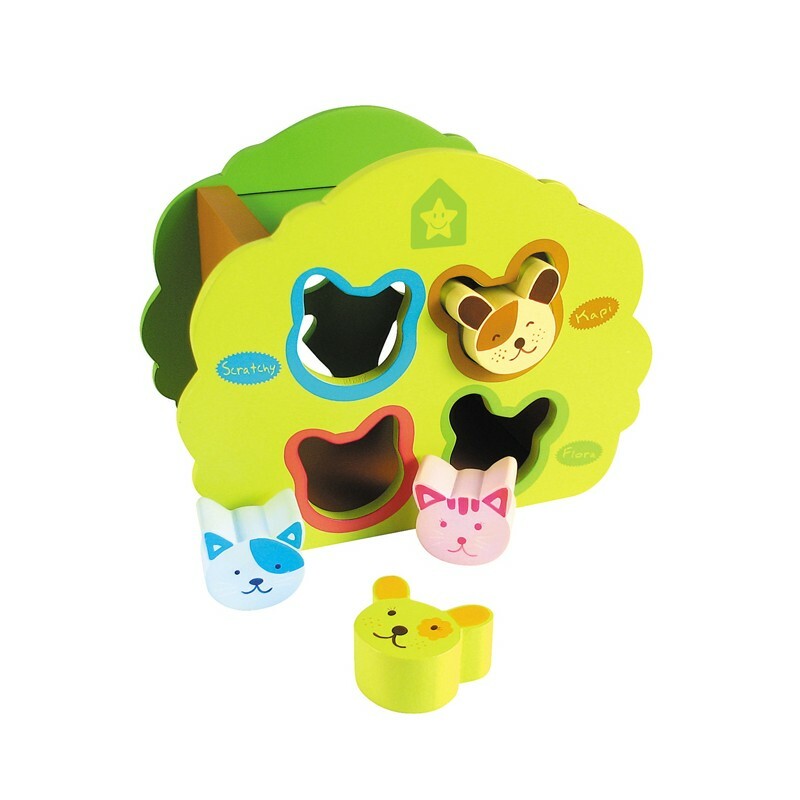 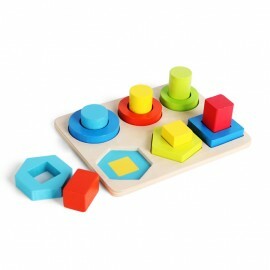 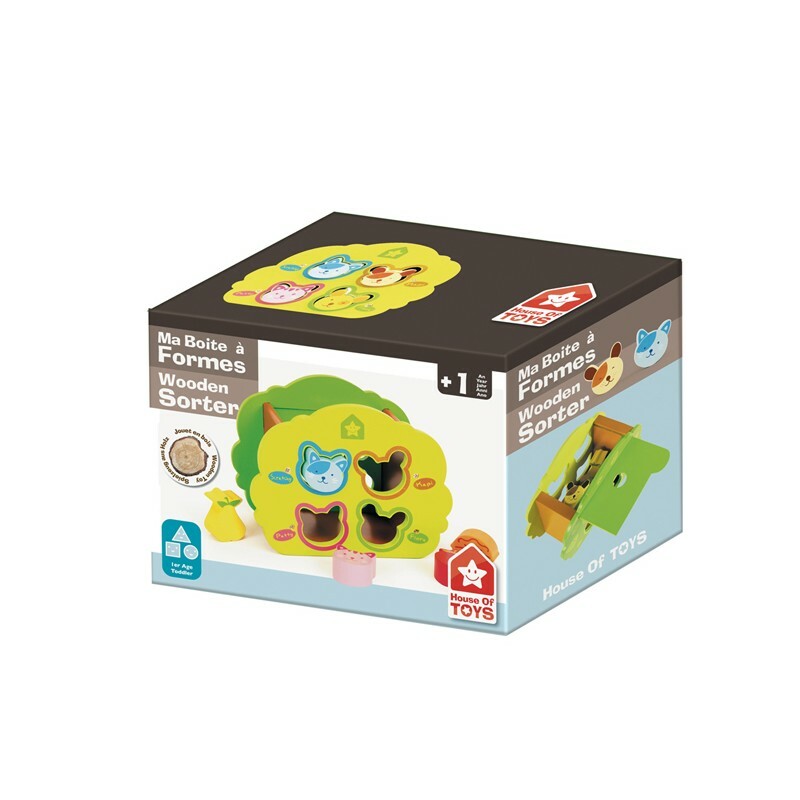 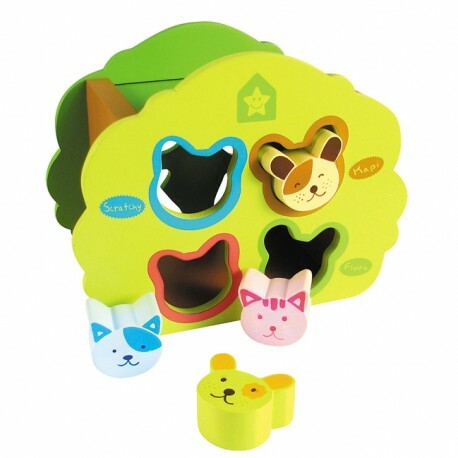 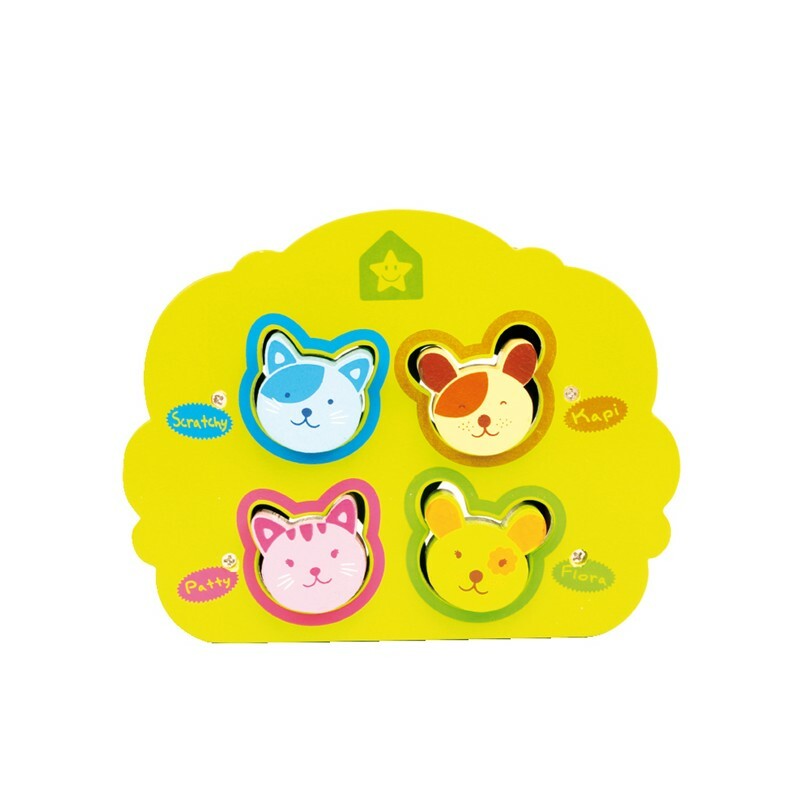 Wooden Shape Sorter. 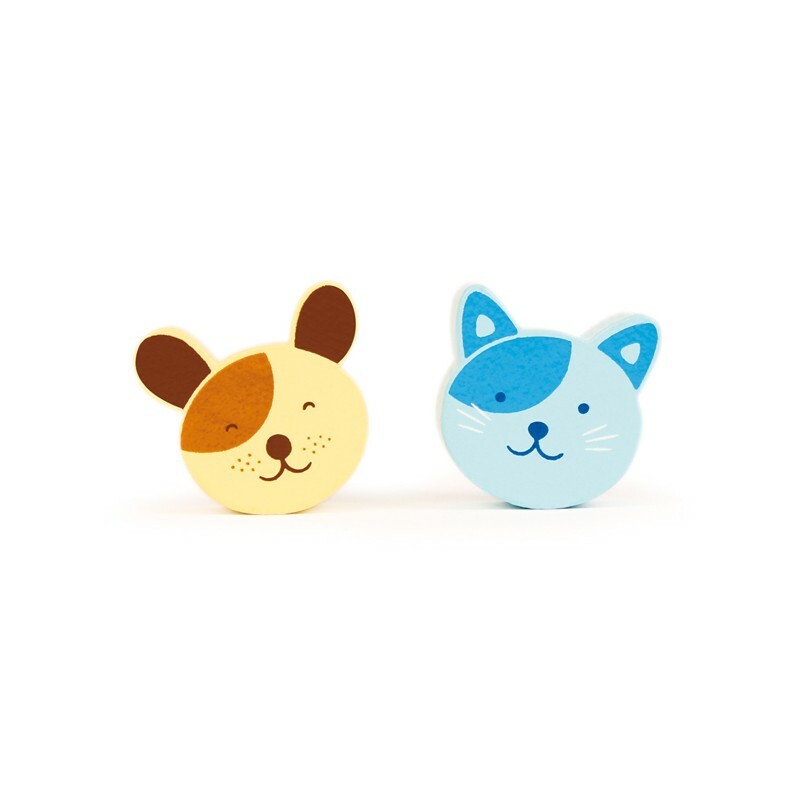 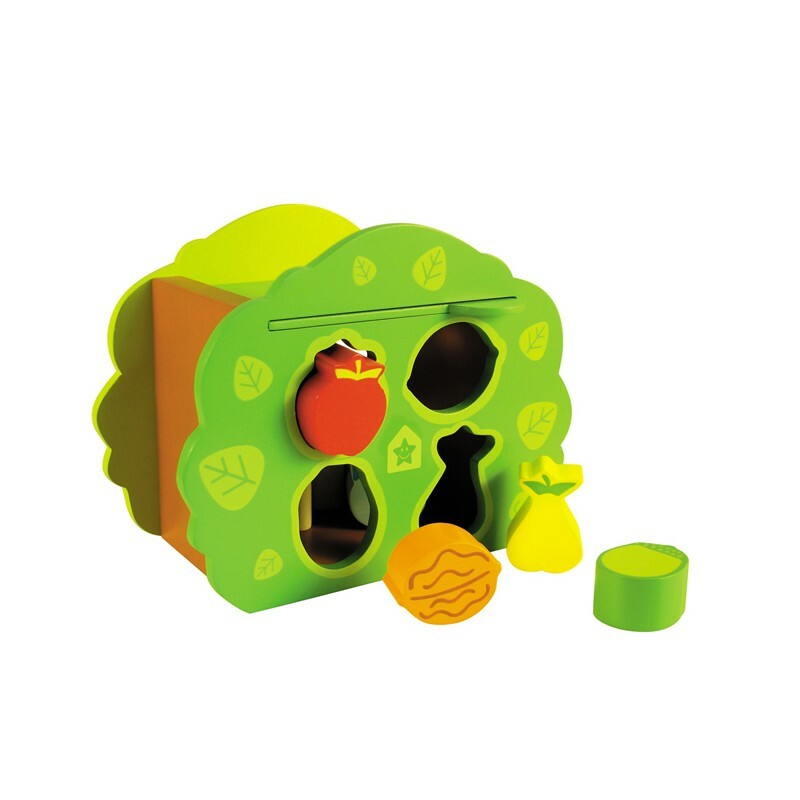 Double sided layout: 1 side deals with animals and develops the colour recognition the other side deals with fruits to stimulate the shape recognition. 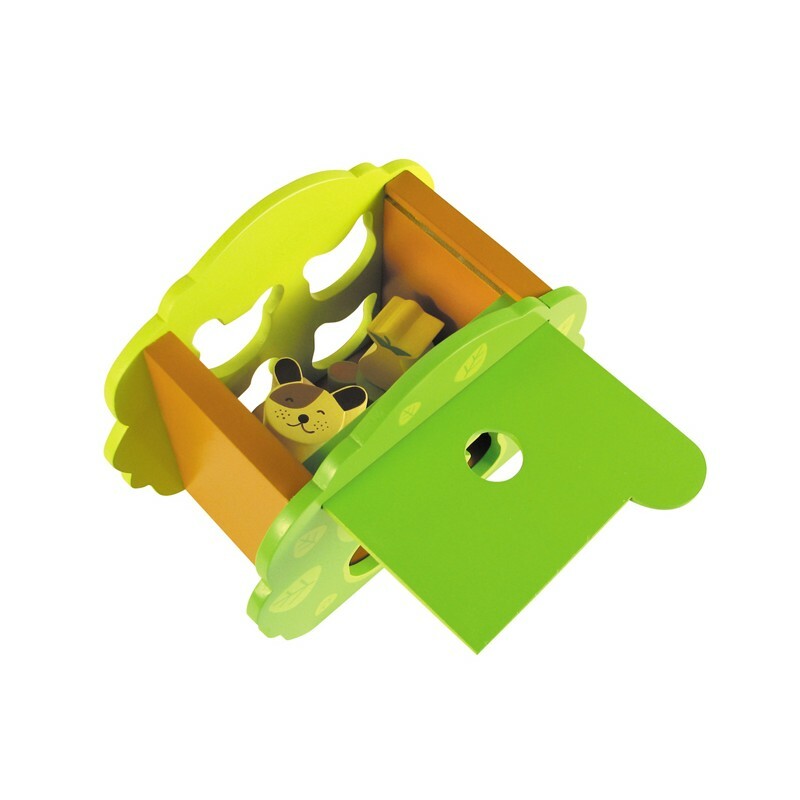 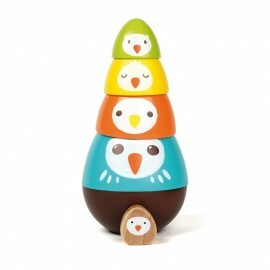 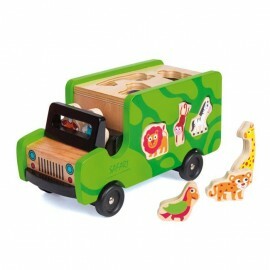 This toy supports the grasping reflex and handling of objects.